During this time of year, people often give of themselves more than they do during other parts of the year. Much the same, business needs to be human and give of itself throughout the year and during the holidays. Many businesses do so much for the community, but fail to make sure the key stakeholders know what they are up to.I have worked with some good businesses over the years and would like to highlight some of the good things that each have done. First DFW International Airport, a government entity of all things actually holds an Aviation Career Expo each year in early December to bring in upwards of 4,000 local students to learn about aviation. American Airlines hosts the group with dozens of local businesses that are in the aviation sector from Tarrant County College to what looks to be a flying museum of older planes that are open for inspection. If you ever get stuck at an airport, like DFW, and you need help, you should pick up that scary “white” service phone and ask that person for what you need. DFW has been known to give out diapers, formula, blankets, cots and so much more for those impacted by an unfortunate weather. Chesapeake Energy gave thousands of bottles of water to local charities in 2011 during the 70 plus long streak of blistering heat here in Texas. Not only that, they actually loaded a case (1,700 or so bottles of water) in the back of a pickup and took it to the fire fighters working to extinguish the Parker County wildfires. Then just last week, Epic Helicopters looking to do something to celebrate the holidays, reached out to the Ronald McDonald House to offer a holiday lights tour to one of their residents. Three weeks later 5-year-old Zachary McBride was given the sleigh ride of a life-time with his mom riding right behind him. Zachary’s story as seen on CBSDFW – 11. If your business does good things out of the goodness of its heart, then be sure that you are also telling your customers, business partners or potential clients so that they know what doing business with you is really like.While each of these examples earned mass media coverage, the outreach did not stop there. There was outreach to city councils, county judges, law enforcement, boards of directors and so much more to ensure that the good business was recognized for their good citizenship. Originally posted on Murnahan Public Relations, Inc’s blog. Brian Murnahan, President of Murnahan Public Relations, brings more than 15 years of corporate communications experience in multiple different business sectors, including aviation, oil & gas, privacy, transportation and public policy. Murnahan specializes in media relations, crisis communications, public affairs, community / stakeholder relations, international outreach and media training. What do the decades ahead hold for the Edelmans, Richards Groups, and other agencies of the world? 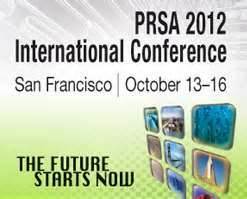 Four top agency CEOs shared their outlook at PRSA International Conference in San Francisco in October. Fred Cook, CEO and president of Golin Harris, completely overhauled his 700-employee global agency to adapt to a rapidly changing marketplace. Golin Harris abolished the traditional agency hierarchy and replaced it with four communities of specialists: Connectors, Creators, Catalysts, and Strategists, he said. Connectors handle traditional and media engagement; creators create; catalysts lead accounts; strategists plan, conduct research, forward big ideas. The agency of the future will have a much broader suite of services and new skill sets are needed, he said. Colleges and universities are turning out thousands of generalists every year and there are not enough jobs for them, said Rob Flaherty, APR, Ketchum’s CEO and president. He encourages students to specialize in an area such as research, media relations, video, digital or writing. His agency no longer hires generalists, but instead looks for new college graduates who already have specialized skills. At Ketchum, new jobs and titles reflect the rapidly changing needs to the marketplace. Community and conversation manager is one example. “Storyteller” is another, he said. One way the agency is tapping the boundless creativity of digital natives is Ketchum’s new crowd-sourcing idea site, MindFire. Originally envisioned as a tool to solicit creative ideas from college students for Ketchum’s clients, Mindfire has now become a talent recruitment site, he said. Hill & Knowlton’s Jack Martin said his agency is investing heavily in research and digital. Measurement is very important – one of the most critical things in the business, he said. The client of the future will unleash the power of big data, desire transparency, appreciate smart risk-taking, and be willing to turn over its brand to the community, Flaherty asserted. The good news for our students is that public relations is one of the top 10 careers with a future, Flaherty said. “The most valuable media in the world is something you can’t buy: earned conversation, word-of-mouth, face-to-face,” he said. Margaret Ritsch, APR is director of Roxo, TCU’s new student-driven agency for strategic communication. Formerly director of public relations at the Balcom Agency, then owner of her own firm, Perception, Ritsch joined the TCU faculty in January 2012. She and five Roxo interns traveled to San Francisco for the PRSA and PRSSA annual conferences.